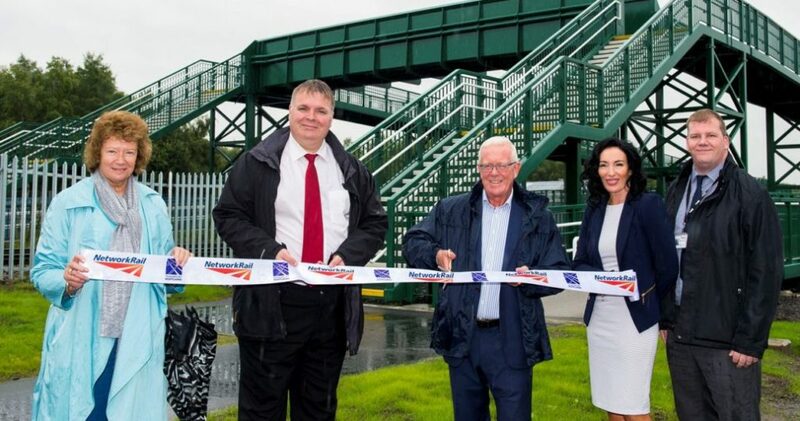 Network Rail has officially opened a new footbridge at Millhall Road in Stirling to replace a level crossing once considered Scotland’s highest risk pedestrian only crossing. 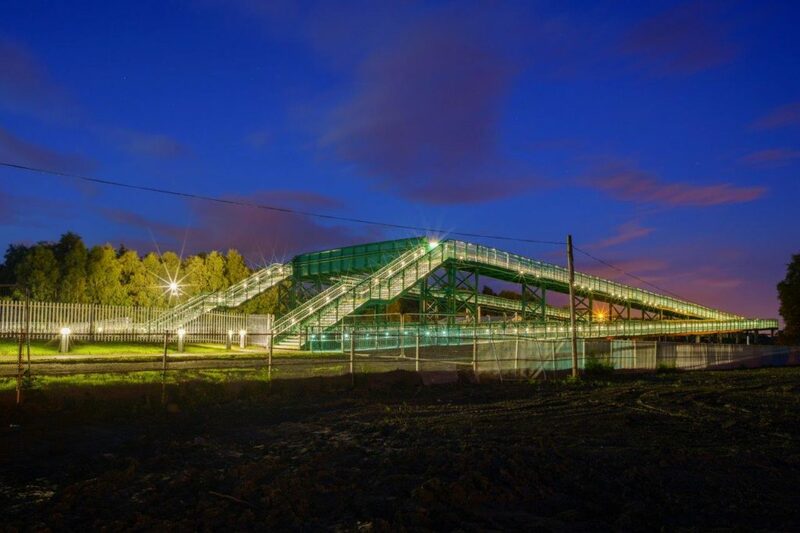 Story Contracting was engaged by Network Rail to construct the fully accessible, ramped footbridge that was built over a period of seven months from January through to July 2017. 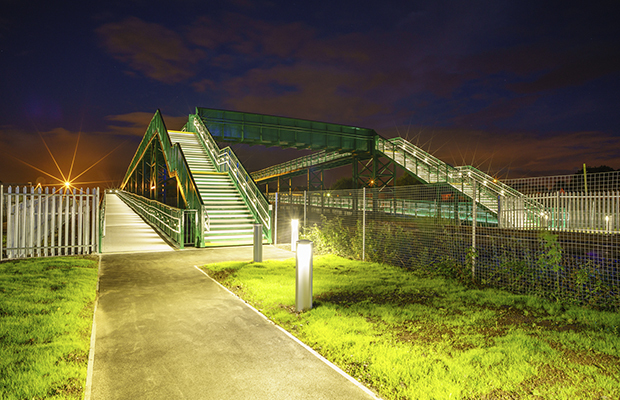 The structure is fully lit, allowing safe, unimpeded access for pedestrians as well as wheelchair users and pushchairs. The level crossing is the first public crossing to close in Scotland since Inchyra in February 2012 and just the second to close this century. Simon Constable, Head of Route Safety Health & Environment for the ScotRail Alliance said: “The single most significant risk to public and passenger safety on the railway comes from level crossings. At Network Rail we are committed to reducing this risk as much as possible by taking action at our highest risk crossings. “This closure of St. Ninian’s level crossing in Stirling is important as it has previously been identified as a high risk pedestrian crossing. With more, faster trains due to use this route in the near future, there was further justification to push for closure and to create a bridge in this location. “We are continuously working to improve safety at our highest risk level crossings. Where it is practical and affordable, we will close them. Where no closure can be agreed, we will seek to improve safety through additional safety measures. “I’d like to thank the team for their commitment over a number of years to getting this crossing closed. In addition, I’d like to offer my thanks to the local community for their patience while these works were carried out and to Story Contracting for their focussed efforts to construct the new bridge over the last seven months. Network Rail completed improvement works to Kingsknowe level crossing in Edinburgh in January this year. Work to install barriers at Delny level crossing will be completed later this year. Also in Stirling, Cornton level crossing will be upgraded to a full barrier crossing within the next two years following a decision in July 2017 not to proceed with the construction of a road bridge. Orginally posted by Network Rail here.